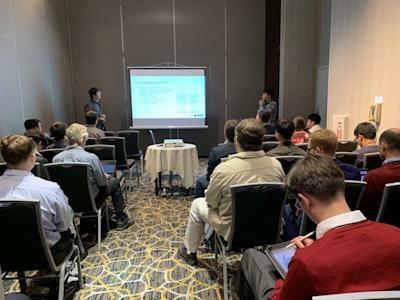 Dr. Qi Zhou gave a presentation on "Boson Consensus: A Scalable Blockchain Sharding Consensus”. Dr. Zhou introduced that with partitioned sub-states and the operations (transactions) to change the sub-states (including both in-shard transactions and cross-shard transactions), the next major question is how to implement an efficient system to store the sub-states and process the transactions. There are two native consensus algorithms to the sharded blockchain.